Some strange goings-on in my work-world have brought out my cynical side. 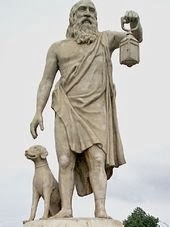 I identify with Diogenes, the founder of Cynicism, who carried a lantern in the daytime because he found it so difficult to find an honest man. 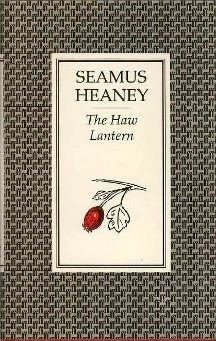 (The Cynics’ lantern has been on my mind since Seamus Heaney died, because he was perhaps thinking of the impossibility of finding honesty in Northern Ireland at the height of the troubles when he called his 1987 collection The Haw Lantern). 1. 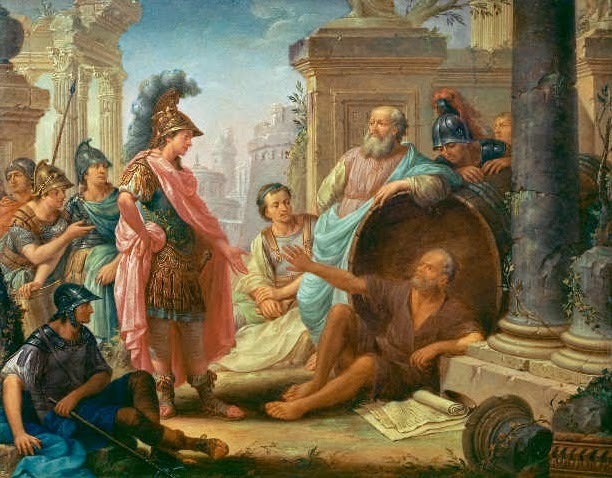 Ask to be addressed as Diogenes, or Diogeneia, and cultivate a Turkish accent (Diogenes’ native city was Sinope, in the middle of the Turkish Black Sea coast). 2. Locate a large barrel or other vessel in a public place and spend at least twenty minutes a day in it, dressed in rags, looking intense and intelligent. 3. You do not actually need to urinate or play with yourself in public, as Diogenes did, since these are illegal in most jurisdictions. 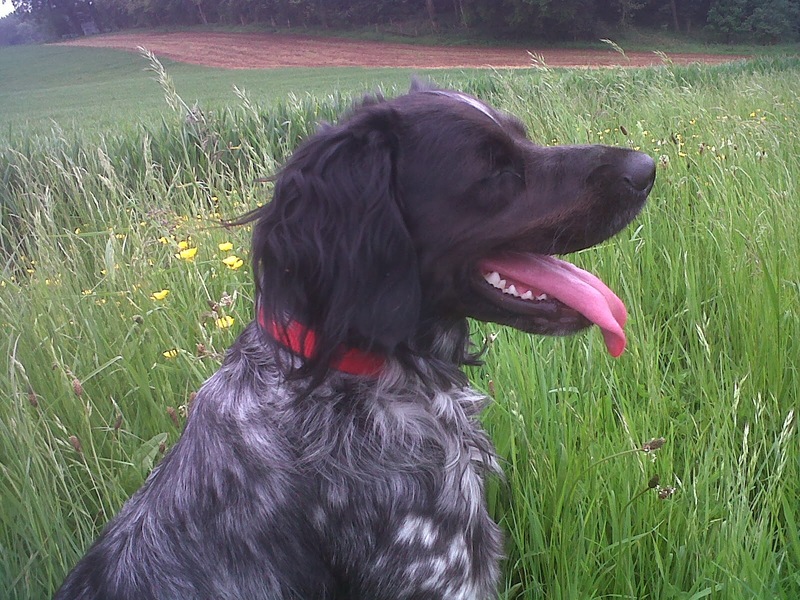 But you do need to discover your Inner Hound, wolf food from off the floor, use your hands as a cup, and scratch yourself a lot instead. 5. Cut down to size at least one person who prides themselves on being richer or more powerful than you, as Diogenes told Alexander the Great, who was pestering him with idiotic questions, to get out of his sunlight. 6. Cheer yourself up with the best History Painting of all time, Sir Edwin Henry Landseer’s 'Alexander and Diogenes' (1848), in which dog breeds replace social classes. 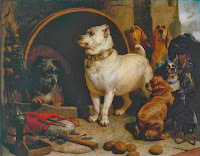 The arrogant white Alexander-dog looks like a member of UKIP, while Diogenes resembles Finlay, our own canny canine.